Everton need to strengthen their attack this winter. According to the football transfer rumours in British media, Everton are poised to land Chelsea striker Michy Batshuayi. The Belgium international joined Chelsea from Marseille for a fee in the region of 39 million euros in July 2016. His contract expires in the summer of 2021. 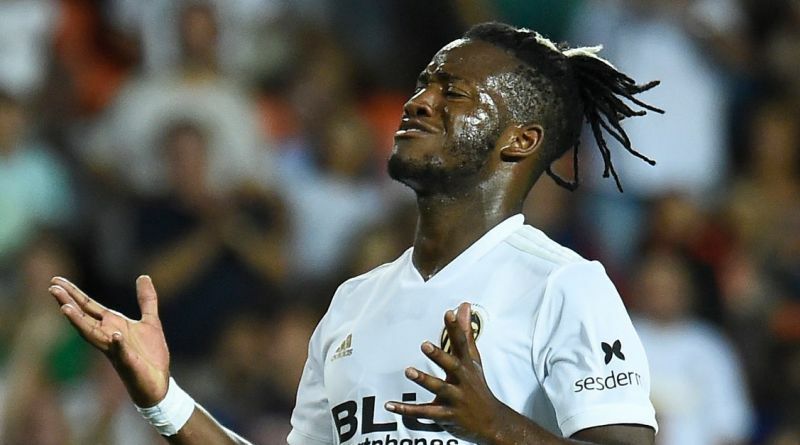 In August 2018, Batshuayi was sent to Valencia on a season-long loan. Batshuayi has scored three goals across all competitions this season. The 25-year-old is considered to be one of the best strikers in Belgium. As a member of Belgium national football team, Batshuayi won 23 caps and he scored 12 goals. He is out of the picture at Chelsea and Valencia, which has opened the door for a potential exit. Marco Silva is looking to shore up his attacking options and Chelsea’s Michy Batshuayi happens to be a target. He is a long term admirer of Batshuayi and believes he can get the most out of the Belgium international. The 25-year-old provides a unique blend between a classic center-forward and the modern striker. Chelsea are not in a position where they need to sell and would like to keep hold of the striker, but offers of at least 16 million euros may force the club to consider a deal. Michy Batshuayi is also being watched by Crystal Palace. Signing the 25-year-old in the winter transfer window would be a masterstroke from Marco Silva. How strong that interest is and whether Everton will make a move remains to be seen but it is certainly one worth keeping an eye on.